Learn everything about the Semantic Differential Scale with questions and examples. What is the Semantic Differential Scale? Semantic Differential Scale is a survey or questionnaire rating scale that asks people to rate a product, company, brand or any "entity" within the frames of a multi-point rating options. These survey answering options are grammatically on opposite adjectives at each end. For example, love / hate, satisfied / unsatisfied and likely to return / unlikely to return with intermediate options in between. Surveys or questionnaires using Semantic Differential Scale is the most reliable way to get information on people’s emotional attitude towards a topic of interest. Charles Egerton Osgood, a famous American psychologist, invented the semantic differential scale so that this “connotative meaning” of emotional attitude towards entities can be recorded and put to good use. A wide variation of subjects can be measured using these combinations like customers’ outlook about an upcoming product launch or employee satisfaction. Where to use Semantic Differential Scale? The ease-of-understanding and the popularity it comes with it, makes it extremely reliable. Due to the versatility that these survey questions come with, make the data collected very accurate. Semantic differential scale questions are used to ask respondents to rate your products, organization or services with multi-point questions with polar adjectives at the extremes of this scale like likely/ unlikely, happy/sad, loved the service/ hated the service. Questions that feature a graphical slider give the respondent a more interactive way to answer the semantic differential scale question. The non-slider question uses typical radio buttons for a more traditional survey look and feel that people are more used to answering. These questions give ample freedom to the users to express their emotions about your organization, products or services. 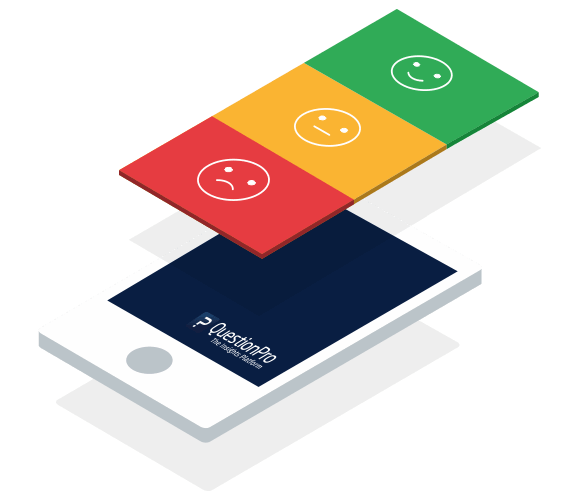 The ordering questions offer the scope to rate the parameters that the respondents feel are best or worst according to their personal experiences. The most easy and eye catchy semantic differential scale questions are the satisfaction rating questions. Semantic Differential Scale has outdone the other scales like Likert Scale in terms of vitality, rationality or authenticity. It has an advantage in terms of language too. There are two polar adjectives for the factor to be measured and a scale connecting both these polars. This is more advantageous than Likert scale where a statement is declared in the statement under question and the respondents are expected to either agree or disagree to that. Respondents can express their opinions about the matter in hand more specifically and fully due to the polar options provided in the Semantic Differential Scale questions. In other question types like the Likert Scale, respondents have to be indicate the level of agreement or disagreement they have with the mentioned topic. 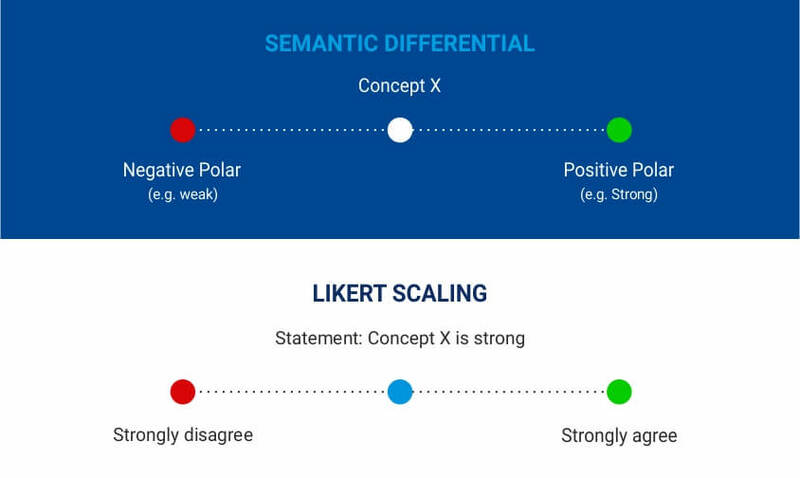 While, the Semantic differential scale offers extremely opposite adjectives on each end of the scale due to which the respondents can precisely explain their feedback that can be used for making accurate judgments from the survey. Perception of concepts, attitudes and opinions can be easily gained using the verbally opposite terms as a measuring tool using the Semantic Differential Scale. Creation : What does it take to get a free account? Can you sign up within a matter of seconds? After you're logged in, how easy is it to actually create a survey? Can you create your own survey within minutes or are you bombarded with so tabsd, optiosn and various windows that it's difficult to manage? What about customization? 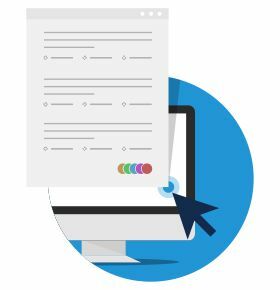 Can you easily edit your survey any way you wish to fit your specific needs? 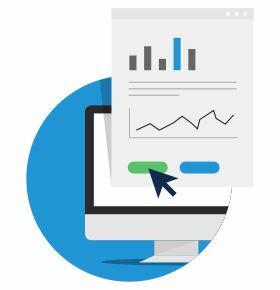 QuestionPro gives you the options you need to create a survey. Distribution : Once your survey is complete, how difficult is it to send it out? Does your solution offer access to edit and manage a personal email list for delivery? 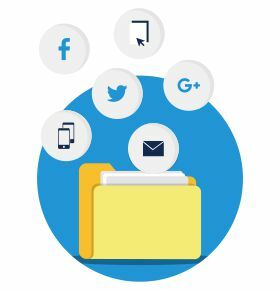 How about giving you a direct hyperlink so you can easily share your survey on Facebook or LinkedIn? What about giving you embeddable HTML code to post your survey on a website or blog? Analysis : After you're done collecting your respondents' answers, how easy is reporting the results? Do you have access to a snapshot at anytime during the collections process to see an overview of the results? How easy is filtering the data? How about if you need more detailed analysis? 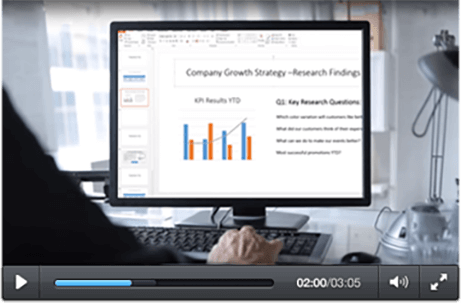 Can you export the results & put them into Excel for more in-depth evaluation? When you're done creating your survey, you can distribute it via email, direct link or embedding HTML code on your website or blog. You can view a snapshot report, in real-time, of your current responses. After the survey is finished and you're done collecting responses, you can view detailed reports with customization at your fingertips. You can apply filters, work with pivot tables and view trend analysis.